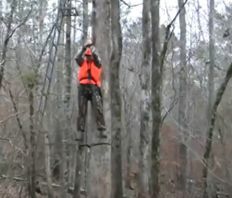 Affecting a Hunter Rescue from a tree stand or fall protection can be extremely dangerous and a time sensitive task. Ground ladders and Aerial devices may not get it done. This class will go over the different concerns, equipment and skills needed for Hunter Rescue and cover the proper techniques of rescuer safety and victim retrieval from height. Don’t see what you are looking for? Request a course topic and our instructors will design a course with your needs in mind. Contact us today, and tell us what you would like to see.